CAN HELP SUPPORT YOUR IMMUNE SYSTEM, skin, and hair. It can prevent free-radical damage because it’s a great ratio of mixed tocopherols. The ratio of each version of vitamin E is ideal and beneficial for our body to absorb and use. Vitamin E has so many benefits IF the company has all the versions of vitamin E. I’ve found it to be such a great addition to my supplements and it’s affordable! the price for a 3 month supply won me over as this is a great ratio and quality of vitamin E.
Can prevent free-radical damage, heart disease, high blood pressure, hardened arteries, and may aid in balancing cholesterol. Can help with PMS symptoms if taken 2 – 3 days before and after menstruation can help reduce cramping, cravings and blood loss. Vitamin E is said to improve muscle strength by eliminating fatigue through blood circulation promotion and strengthening capillary walls. 4 forms of Tocopherols (alpha, beta, gamma and delta)Each of these 4 forms of vitamin E has its own biological activity and function in the human body. Because each form provides a slightly different benefit it is therefore important to ideally consume all different types of vitamin E.
Why are there 8 types of Vitamin E? Vitamin E comes in 8 forms. 4 are tocopherols and 4 are tocotrienols. Each are composed of four components that have distinct structures to differentiate each other. Each variation of vitamin E should not be equal to each other. They also should have beneficial amounts when comparing to each other too. High amounts of alpha tocopherols can hinder other forms of vitamin E from being absorbed as well. 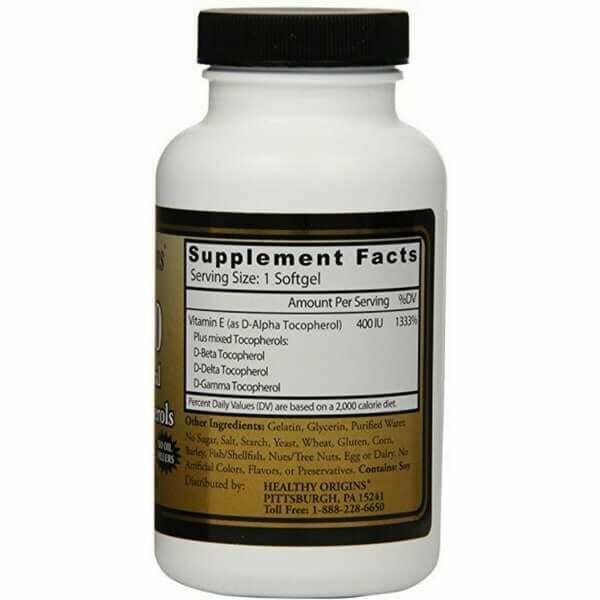 Alpha and beta tocotrienols have been found to be the least effective while delta and gamma tocotrienols are the most effective. Tocotrienols have been found to have anti-cancer and anti-tumor abilities. They have protective effects that impact the brain neurons, cells, and immune system too. 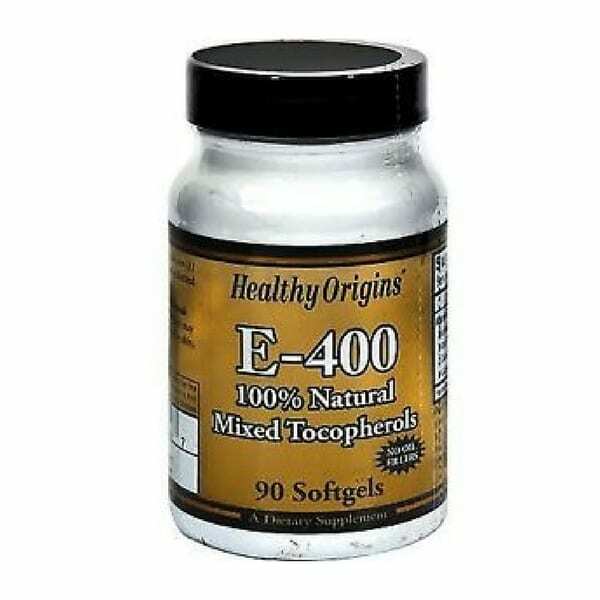 Alpha-tocopherol can interfere with the absorption of other forms of vitamin E, which is why it’s important to have varying amounts of each all in one simple pill. Variety of Vitamin E is extremely important. What makes Healthy Origins Better? 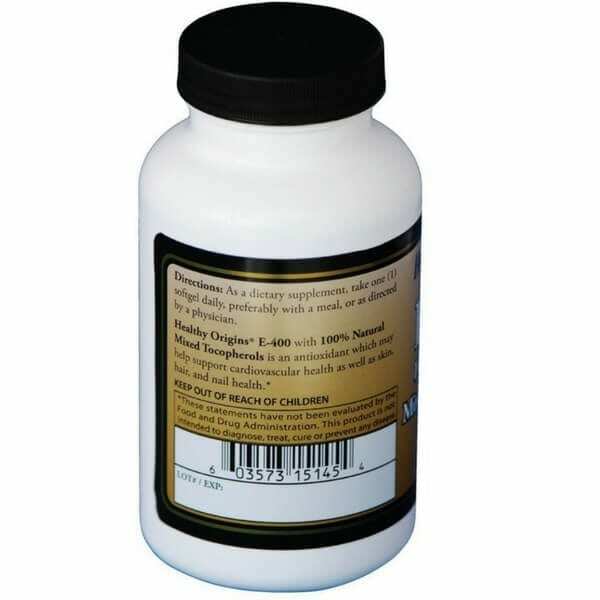 Healthy Origins® product labels disclose all ingredients used in the formulation. No hidden fillers, binders or coatings that could diminish the bioavailability or integrity of products. Most of the active ingredients are patented branded ingredients manufactured by reputable suppliers who are leaders in their respective fields. Our products are developed with our own custom formulations and are manufactured with strict compliance to cGMP guidelines. Best taken with fatty foods. Can be taken every other day if you’d prefer smaller doses, bonus it lasts longer too!